London, ON surf rock-inspired four-piece Big Lonely are gearing up to release their debut album Close Your Eyes, Keep Talking on December 5, but today Exclaim! 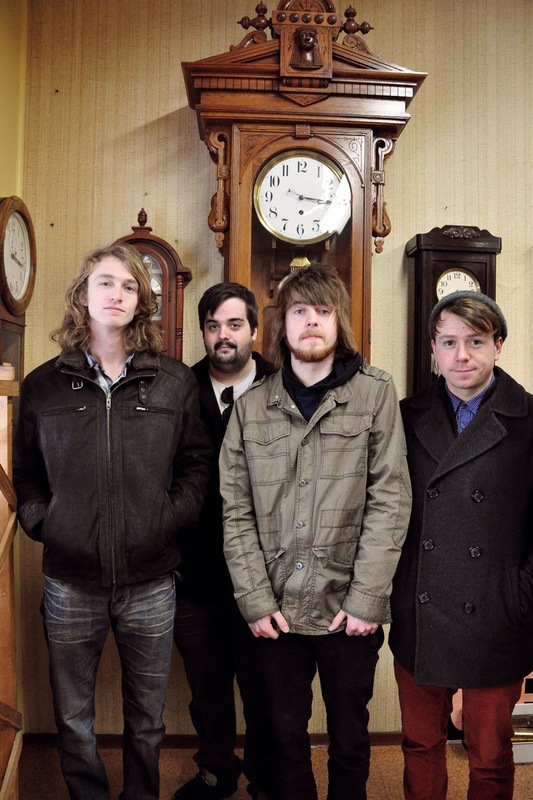 has got you covered with the premiere of the band's brand new video for "Dirty Clocks." The clip shines a spotlight on the great Canadian pastime of table hockey, documenting the action of a professional tournament — complete with the drama of a red vs. blue rivalry. The band describe it, however, as "an underdog story gone wrong." In a statement about the video, Big Lonely said, "The audience is meant to sympathize with Cole's humility and his lack of fan support, however, he ends up losing really badly anyway." Ending on a less than optimistic note, they added: "Basically, we all lose." Get your popcorn and beer ready, sport your favourite team's jersey and watch the action unfold in the video for "Dirty Clocks" below. Exclaim!